I absolutely love the idea of weekend / holiday retreats, how about you? A complete change of scene, somewhere you can unwind. 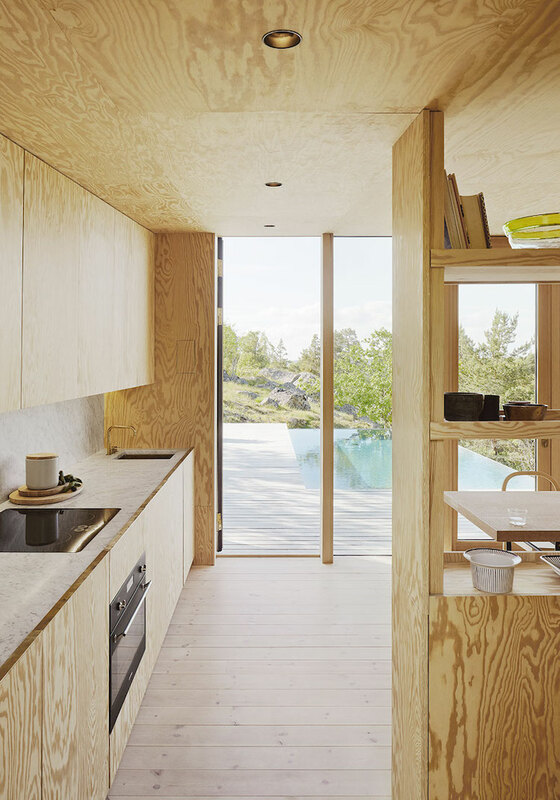 It doesn't need to be anything decadent - a small log cabin surrounded by woodland or a little house by the sea. 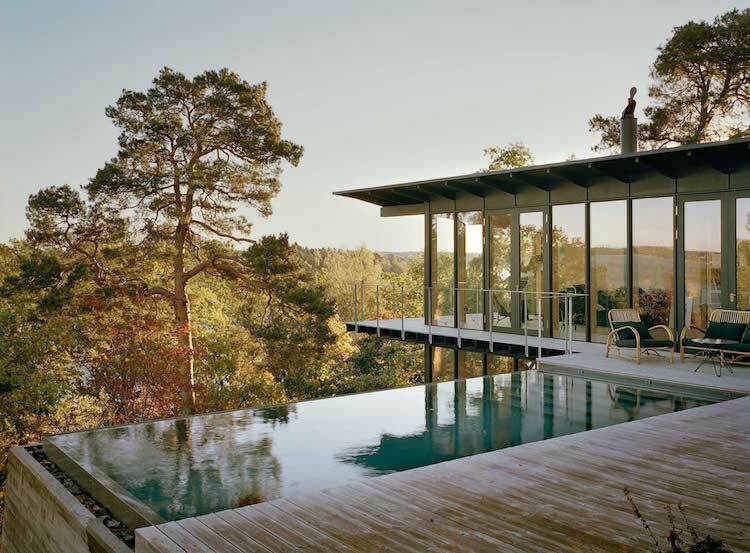 Then again, when I see this, perhaps an infinity pool wouldn't go amiss either, what do you reckon?! 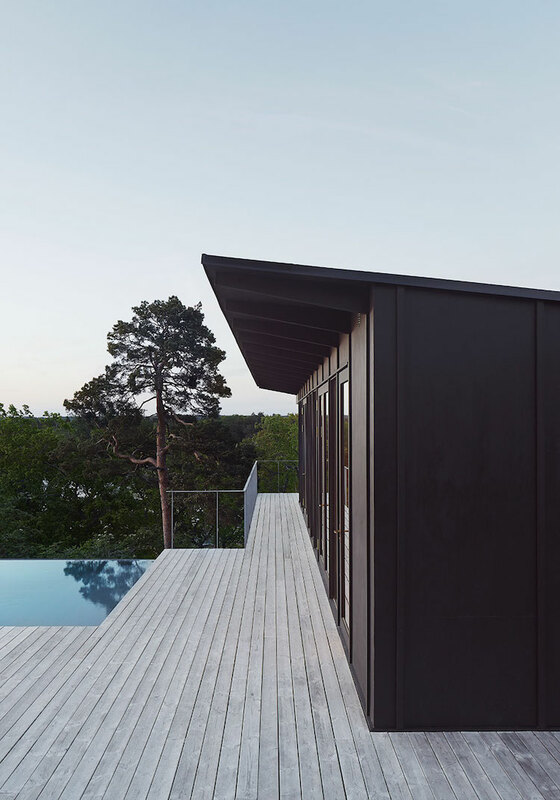 This incredible cabin in Aspvik, East of Stockholm was designed by Andreas Martin-Löf architecture and successfully combines the pared-back nature of a Scandinavian retreat with a touch of LA luxury! Talk about taking 'forest bathing' to a whole new level! Come on, let's take a peek inside! 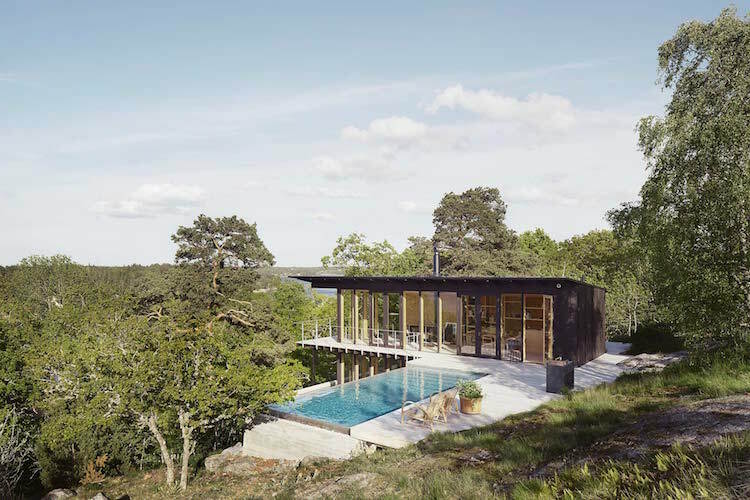 Made from steel, timber and glass, the structure allows you to sit back and enjoy panoramic views of the woodland from anywhere in the house. 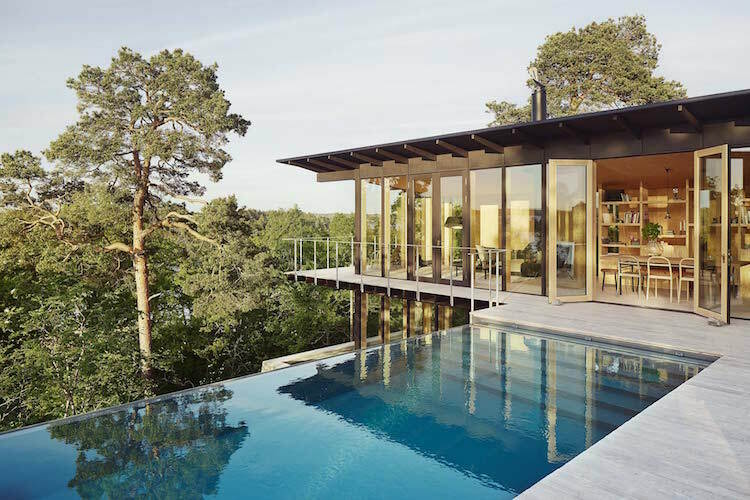 Or, you could just relax in the infinity pool and breathe in the fresh scent of pine! 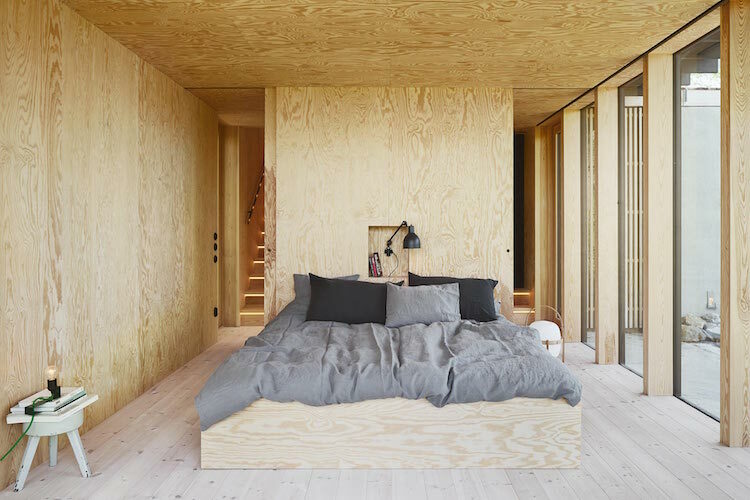 The majority of the interior is made up of wood giving the space a wonderful organic feel. 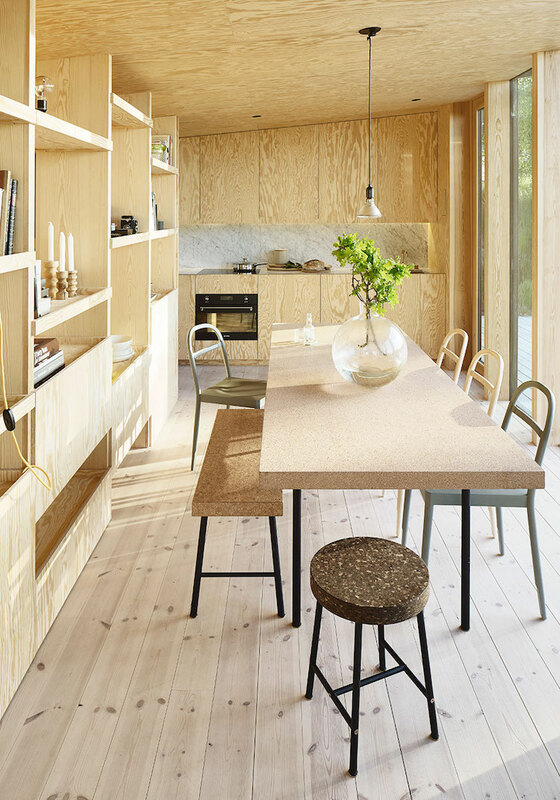 Other natural elements include cork (the cork table, bench and chairs are by Ilse Crawford for IKEA). 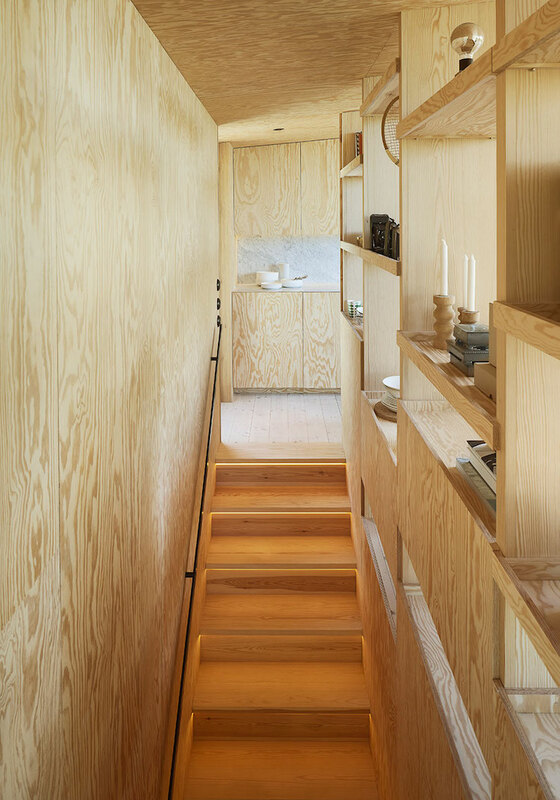 Open shelving (also seen in this make-over) ensures plenty of storage without interrupting the flow of light in the open-plan kitchen and living room area. A grey marble worktop and splash-back brings the look up to date and contrasts beautifully with the timber. 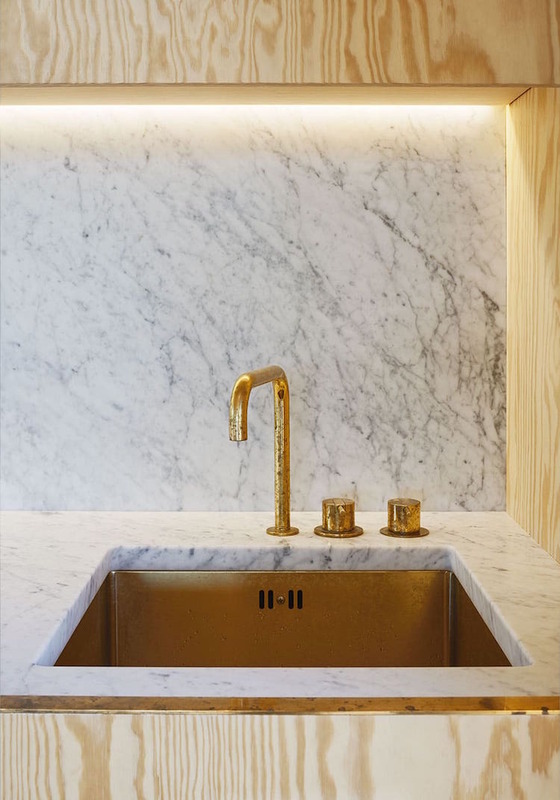 I love the patina on the brass tap too - and just how fab is that sink?! The stairway leads down to the master bedroom, where you can look out over the forest from bed - not a bad way to start your day! 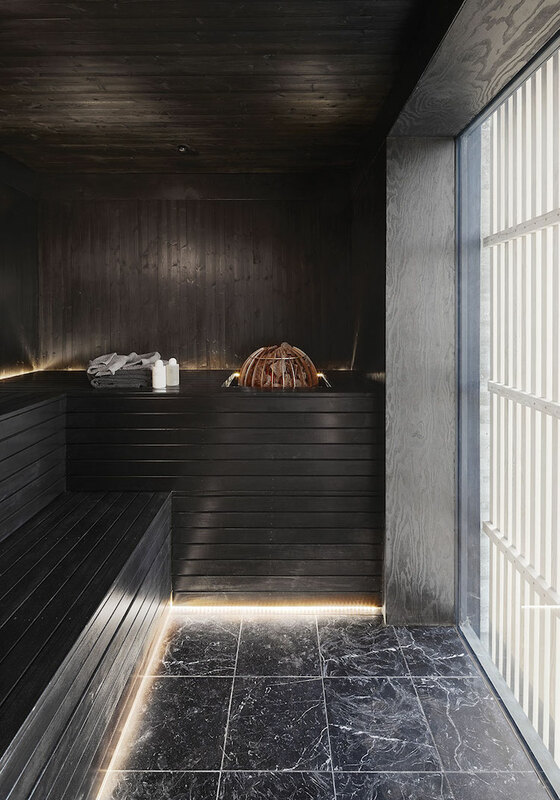 Just in case you can't quite shake off that weekday feeling - there's also a poolside sauna. I don't think I've seen a black one before - I'm feeling relaxed just looking at it, how about you?! And it's Monday. Could you imagine spending your weekends here?! You can read more about the project here. And dream away by visiting the log cabin and rural retreat archives! Thank you for the tip Nordic Design! Have a great start to the week vänner! I sure wouldn't mind spending weekends there. I would however, change the marble countertop and backsplash to something that's less noisy. There are so many patterns from the wood grains that it gets overwhelming when you get to the kitchen and looking at those gray veins of the marble. I think an all white marble would work better.